Should Eli Babalj return to Melbourne Heart? 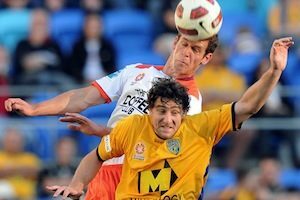 Melbourne Heart recently announced that Eli Babalj was returning to the Red and White for the remainder of this season and 2013-14. But is re-joining the Heart the right move for the twenty-year-old? The Melbourne Victory finally got the better of the Perth Glory in Western Australia with a gutsy, yet unconvincing, 1-0 win on Saturday evening. The National Youth League (NYL) kicked off this weekend with Melbourne Victory defeating Adelaide United 3-0. 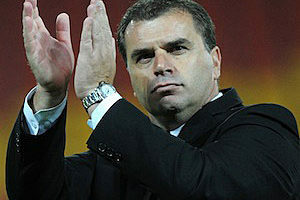 And it was obvious Ange Postecoglou’s philosophy was implemented by Victory’s youth side. For the second consecutive week John Aloisi’s Melbourne Heart have been wasteful in front of goal, butchering many chances in the 1-1 draw with the Wellington Phoenix. Brisbane Roar’s 5-0 thumping of the Melbourne Victory on the weekend shows that Ange Postecoglou’s side have plenty of problems, not the least of which is defence. European Champions Chelsea opened their defence of their Champions League crown with a somewhat lucky 2-2 draw with Serie A Champions Juventus. The sluggish Blues midfield showed a glaring flaw in Di Matteo’s setup. Holger Osieck’s Socceroos have recently been questioned for their recent form and labelled ‘Dad’s Army’, but one standout in recent performances has been the rejuvenated Mark Bresciano – partly down to his form in the Middle East. Could Victory start the season without a recognised striker? Melbourne Victory and Ange Postecoglou pulled off the fantastic signing of Marco Flores in July, but many questioned how the Argentine would fit into the Victory’s system. Socceroos goalkeeper Mark Schwarzer became the first Australian footballer to play 100 games for the Green and Gold as Australia defeated Lebanon 3-0 early on Friday morning. After Melbourne Victory decided not to offer interim coach Jim Magilton the full-time position, the biggest coaching job in the A-League is now available. 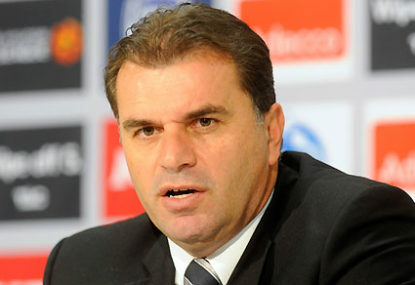 If Brisbane Roar’s Ange Postecoglou is not on the top of the list, he should be. The Victorian Premier League (VPL) kicks off today with defending champions Green Gully Cavaliers travelling to Kingston Heath Soccer Complex to take on a youthful Bentleigh Greens outfit. Many Melbourne Victory players are out of contract at season’s end and Victory need to decide who stays and goes. 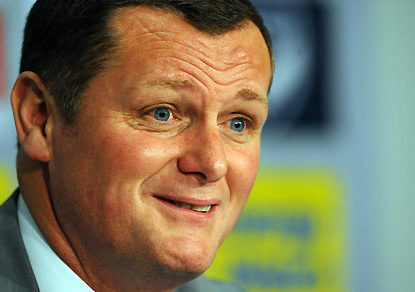 But that all depends if interim coach Jim Magilton stays too. A long list absentees from the senior side has forced Gold Coast United to give their youngsters premature debuts this season. Just what is going on at Gold Coast United in the past week? 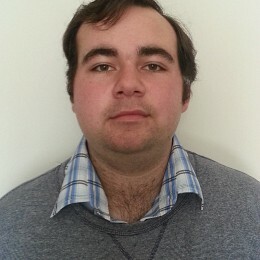 After appointing a 17-year old captain, Clive Palmer derided football as a “hopeless game” and the A-League as a “joke”. Round 19 of the Hyundai A-League gave spectators a taste of the future, with several clubs giving youngsters a go. Where some criticised the Melbourne A-League derby as lacking excitement, one good thing that emerged was Melbourne Heart youngster Craig Goodwin. Yeah Heart’s crowds have been disappointing. But they did get a good 7k against Adelaide and if the Heart keep on improving they will get more people to the games. But their struggling with away form. Also Grella hopefully will play some part in the run home so that might bring some more. The fans too are trying hard to bring others in, which is brilliant. As the game gets better new fans start following the A-League so there are always a chance people in Melbourne might support the Heart or the Victory, which is wonderful for the sport. Still a win, doesn’t matter how the goal comes about. Was an ugly goal like the win. Yeah completely agreed. Yeah he did a similar thing at Roar. Was informing the rest of the football world who weren’t there for the NYL game what is going on. Future is looking bring for Victory. No problem! Just trying to give these kids the coverage that they deserve and some day will receive. There was a camera there filming, but I believe that video is for Victory and possibly Adelaide, the clubs, not for the public. Yes he was the ex Bayern protege. Very unlikely NYL will be televised in the future. Not enough people don’t go to the games, so if they put them on TV no one would. Well Nakic and Cristaldo are highly rated. Markelis is a senior player and needs to be played. O’Dea is a young Socceroo. So Davies has plenty of competition in the centre and out wide. Davies has also had issues regarding attitude in the past, not sure though if that is having an effect. Yeah Tadic needs some time, some more games, even off the bench to adapt. Williams gets in so many good positions, like Fred and Macallister but struggles to finish at times. The both could be options. But who makes way for Carlos? Fred? Thompson? Unless one moves out wide or into defence. Solorzano was close to joining Heart last season so could happen. But I think Aloisi will stick with the players he currently has. Yeah he may need to start adapting the style with the players he has. For example if Franjic or Gallagher are needed to start. Won’t play out the back through those two. I think the system should be kept, but Yes ONLY Milligan should play out, since the others cannot. Broxham to fullback? Dunno about that. I think Dilevski might be given another chance. And Celeski in midfield could work out, if he is fit. I saw him in a friendly 2-3 weeks back, was unfit and awful, passing was well off. Heart just confirmed Grella signing, won’t join teammates until Monday though. Medical on Saturday. Yeah that’s true. As long as the goals are coming in from somewhere, if midfield or attack, it doesn’t matter. But at the moment Heart are capitalizing on their chances. Most don’t rate Foschini anywhere he plays, some even think he is just there because of Muscat. I think there are better fullbacks than Foschini and it wouldn’t surprise me if he leaves at the end of the season. Yeah very true especially if Macallister and Dugandzic get injured or lose form. Then who will come in? Possibly a Zac Walker from the youth team? Or could Nick Kalmar play further up the pitch like against Phoenix after coming on? Grella won’t help the efficency in front of goal though. What are your thoughts on what they can do? great signing if he is fit. And Grella signing hasn’t been confirmed. Only The Age and Australian have confirmed not the club. Still has a medical to pass, which with Grella’s history may not be easy. Yes Paul, like Dilevski on the other side. But still with his pace and with ball at feet Traore is one of the better defenders with Milligan that Postecoglou has. Yeah completely agree with you there. Traore has been one of the better players in Victory’s two games, and does lack the engine like you mentioned, but was ripped a few too many times from Halloran. Yeah agreed. Like I wrote there are MANY problems including gk, but if I mentioned all would have taken a lot more space and plenty more of time. Tando in my eyes is much better in all areas except for playing out. Yeah one of my favourite goals ever to be scored! That’s what I remember Essien for. Good point re Alonso though. Definitely agree with you there regarding Lampard, but in this one game he struggled, so Essien could have come on to see if things could be changed. Never been a big fan of Mikel to be honest. Always thought Chelsea should sign a first-choice Defensive mid, like Daniele De Rossi or Xabi Alonso (even thought that won’t happen). Competition still has a long way to go. Who knows, maybe Chelsea will invest over the winter window which might increase their chances of retaining the title. Matt Spiranovic has only really started his career….